It’s less than a week to the big day now! That’s right, six days until Christmas Day. There’s not long left to grab those last minute gifts and to tell you the truth, I’ve still got a couple of things to pick up! I thought I would put together a little gift guide with some brilliant stocking filler ideas! I think the giftsets that are on the market this season are better than ever, I’ve found myself even buying a couple of sets for myself! 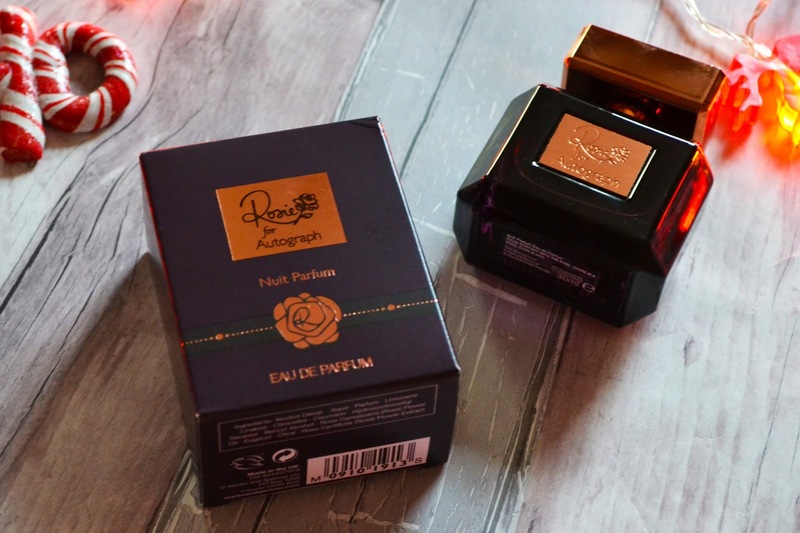 I was so excited to pick up the Too Faced French Kisses Melted set for £22 filled with four miniature liquid lipsticks (which normally retail at £18 each). I haven’t tried the Melted Lipsticks before so this set is perfect for trying them out in a couple of different shades. If you’re interested in an affordable fragrance, I am currently loving the Rosie Huntington-Whitely Nuit perfume from Marks and Spencer. I managed to pick this up for only £7 in the Black Friday Deals but a 30ml bottle retails at £14. 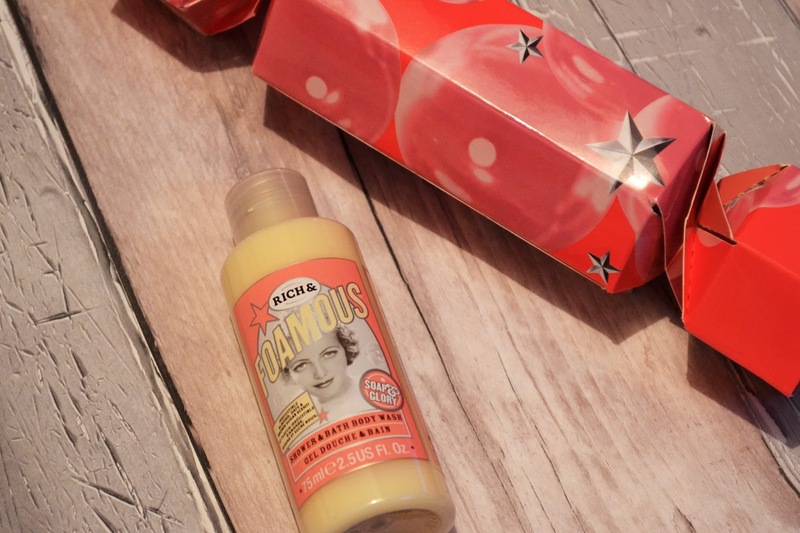 Another great fragrance is the brand new Soap & Glory Original Pink Fragrance Mist which is sold on the Soap & Glory website and available in Boots for only £10 for 100ml. This is such a lovely fruity scent and a great stocking filler. Also from Soap & Glory is these cute Christmas crackers filled with miniatures, you can buy a six pack for £16. These crackers would be lovely stocking fillers or great for Christmas lunch with the girls! 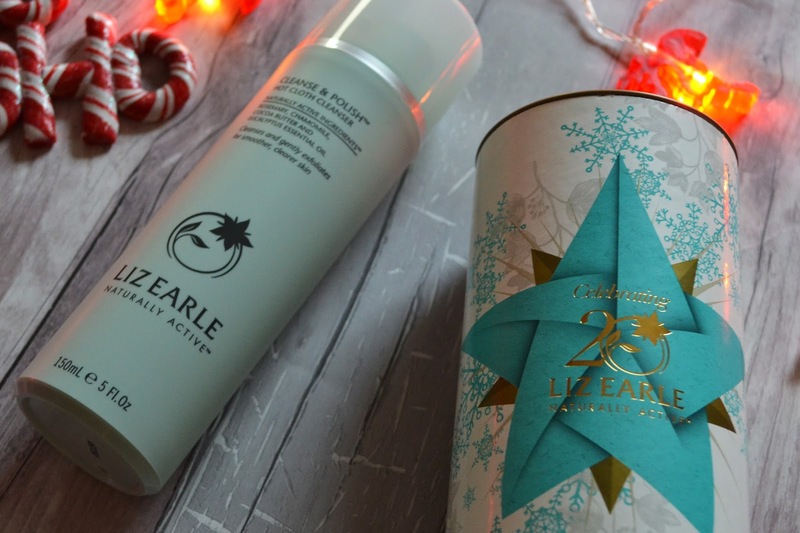 To celebrate the 20th anniversary of Liz Earle, the well-loved Cleanse and Polish has been released in limited edition Christmas packaging. The giftset is available from the Liz Earle website and Boots for £20.75 and is the perfect size to pop in a stocking! 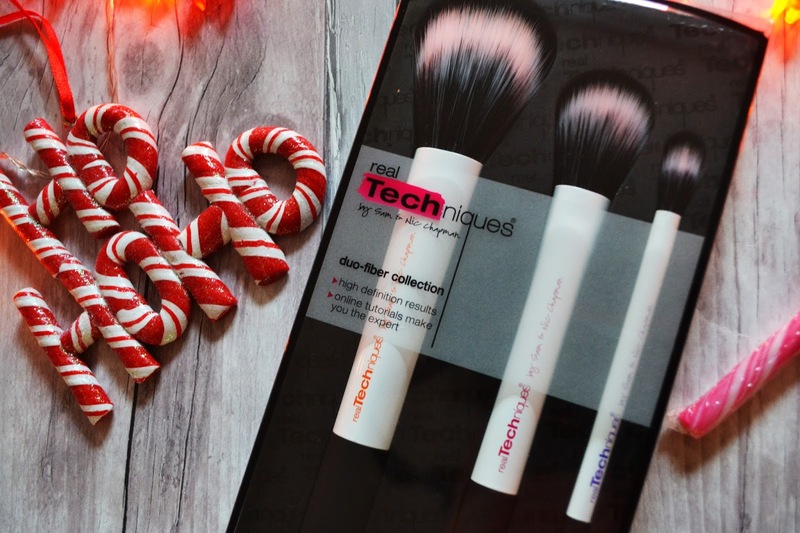 Every beauty lover seems to be a fan of the Real Technique brushes including myself. A make-up brush set like this Duo Fibre collection would be a brilliant Stocking Filler and Fragrance Direct currently are selling them here with a discount! Fragrance Direct also have brilliant deals on perfumes and make-up brands such as Bobbi Brown and MAC. 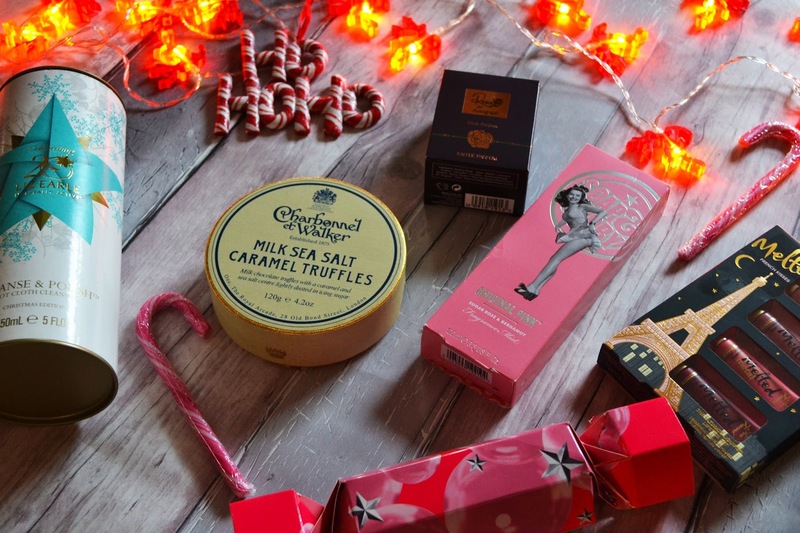 Whilst my Stocking Filler guide focuses on beauty items, everyone loves Chocolates. 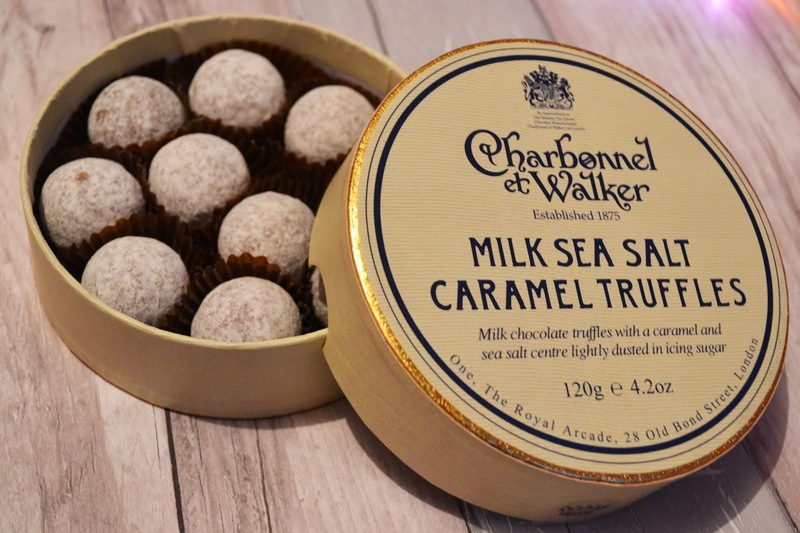 For something a little bit special check out the insanely delicious truffles from Charbonnel et Walker. These Sea Salt Caramel ones will be going in my Mum’s stocking (Shh.. Don’t tell her!) and I’m hoping she will share with me! Hope these idea’s have helped you with your last minute purchases! What would you like to find in your stocking? Ah, so many lovely choices – you can't go wrong with Too Faced or Liz Earle! Fab post lovely, the TooFaced Kisses Melted Set looks fab, and I do agree it’s perfect for trying the range out before splurging £18 on one. Such a lovely selection of gifts. Wish I didn't still need to buy stuff for Christmas ? 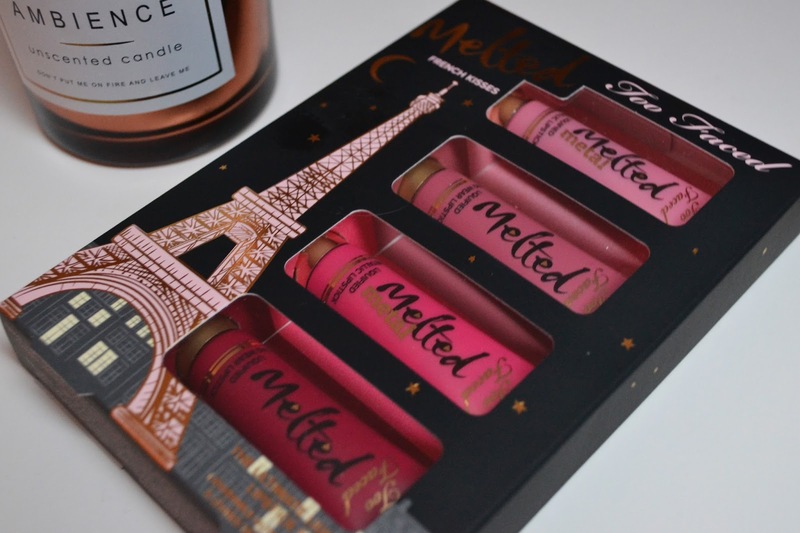 The Too Faced melted lipsticks would make the perfect gift. I haven't tried them either but everyone seems to love them! Oh god, did you have to remind me how close we are to Christmas?! This is a lovely little selection and i DEFINITELY think i'll be getting some of these for all this friends i STILL haven't gotten enough for!